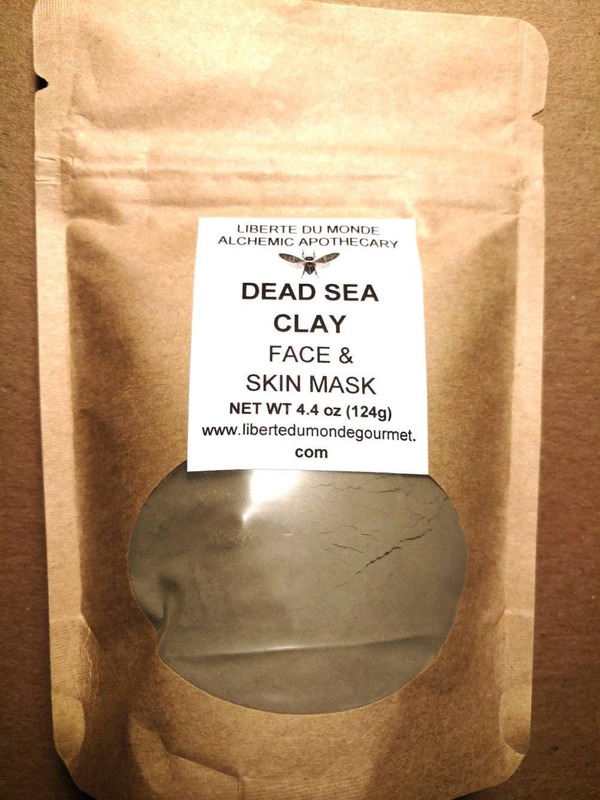 My natural Clay Face & Skin Masks are pure clay powders from all over the World. They are all unique and beneficial. They all have very simple to follow directions attached to each resealable bag. 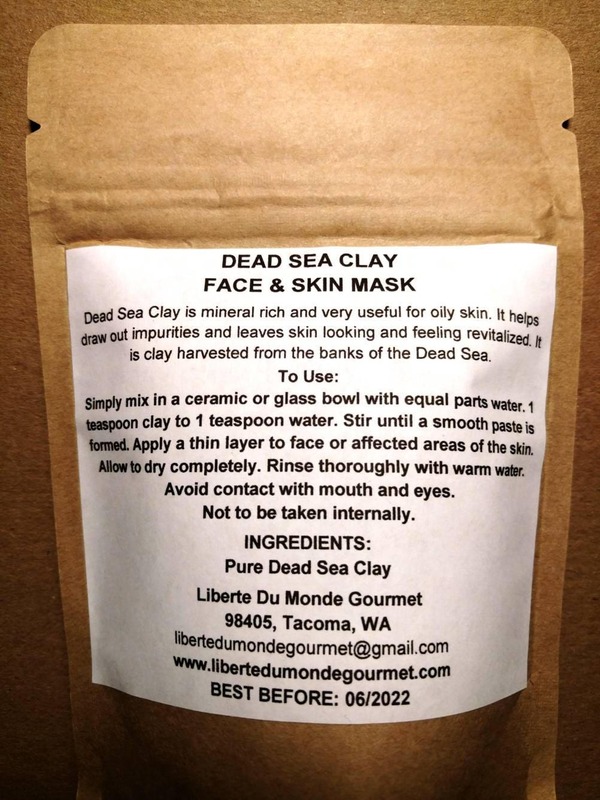 Dead Sea Clay is mineral rich and very useful for oily skin. It helps draw out impurities and leaves skin looking and feeling revitalized. It is clay harvested from the banks of the Dead Sea. Simply mix in a ceramic or glass bowl with equal parts water. 1 teaspoon clay to 1 teaspoon water. Stir until a smooth paste is formed. Apply a thin layer to face or affected areas of the skin. Allow to dry completely. Rinse thoroughly with warm water. Avoid contact with mouth and eyes. The packages are filled by volume and labeled by weight. **All products are packaged by volume and the labels reflect the weight. All orders will be filled this way unless otherwise noted. If a listing states 4 oz bag/pouch it is the size of the packaging not the weight of the product.